Special Old World Wisconsin Tour — And Tickets Giveaway! Old World Wisconsin is the premier outdoor history museum in Wisconsin, and one of the very best in the country. If you have ever visited Old World, then you know what I mean. If you haven’t yet, then a memorable experience awaits you. Starting in 1982, I spent twelve years there as an interpreter and curator. 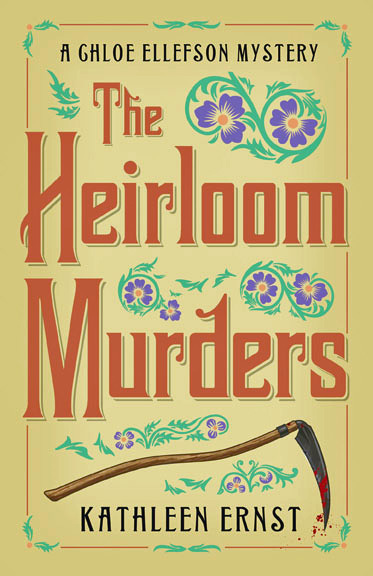 When I wrote my first two Chloe Ellefson Historic Sites mystery books, Old World Murder and The Heirloom Murders, I set many of the key scenes in the museum’s public and private areas that I knew so well. If you’d enjoy seeing where many of those scenes take place, and discussing them, then please join me for an exclusive, before-hours/behind-the-scenes guided tour through the historic buildings that make up a big part of Chloe’s world. You’ll also have the special opportunity to hear about the historic buildings from Old World Curator Marty Perkins, who knows more about the historic site than anyone else. The inaugural tour will be held Sunday morning June 10th. Attendance is limited to facilitate Q&A. Prior registration is required. In addition to the tour, tickets provide access to a group reception, and to the museum for the rest of the day. 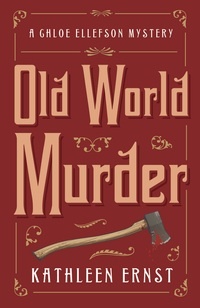 This is a fundraiser — all proceeds go to support Old World. For additional details, including how to sign-up, click HERE. Want to attend, but the gas pump ate your ticket money? Don’t despair! I’m giving away one free pair of tickets to the June 10th tour. If you’re 18 or older, you could be the lucky winner. To enter the contest drawing, just send me an email at k.ernst at kathleenernst.com (replace “at” with @). I’ll announce the winner next Monday, May 21st, so reply before then (just one entry per person please).